Earlier this week I went on a whitewater rafting trip with a few coworkers on the Middle Fork of the American River. This was my first whitewater experience and it was fantastic. We were fortunate enough to successfully complete the trip without any involuntary dips into the river. I highly recommend booking a trip with American River Whitewater Expeditions if you're ever interested. They have a perfect five star review score online and their professionalism, rafting skills, and fun personalities truly show it. One of the highlights of our trip was when our guide Rebecca saw one of her crewmate's raft starting to lose control in a rough eddy. Rebecca quickly parked our raft and leapt across several boulders to rescue her crewmate's boat. Unwinding the safety rope as fast as she could from it's bag, she tossed the weighted end with perfect precision towards her crewmate. With both ends connected we watched in awe as she positioned herself all the way down to the ground pulling with all her strength. Inch by inch the raft moved closer to calmer water and in less than a minute they were finally in control again. We cheered Rebecca as she returned to our raft. "Wonder Woman" is what we called her. This trip was also a good scouting trip to check out what the Middle Fork of the American River looked like. I was excited to see such great water and was planning on how to fish each hole when I returned with my rod. Unfortunately my plans were shot down when I learned that the water we rafted through below Oxbox Reservoir is on private property. Owned by the Horseshoe Bar Preserve private club, the only way to access it is with an undisclosed amount of benjamins. There is a guide company, Rise Up River Trips, that floats this of the Middle Fork but unless your willing to shell out a few K's the most you'll ever experience fly fishing the Middle Fork of the American River is through the awesome video they produced. The upper section of the Middle Fork above Oxbox is accessible to the public so I may make a trip to explore that someday. 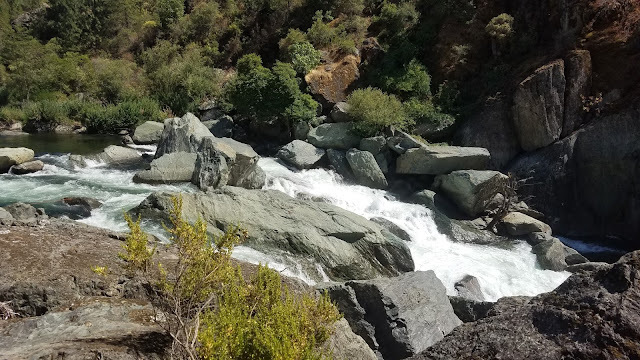 If your looking for something like the Middle Fork of the American River that is more publicly accessible I recommend the Middle Fork of the Feather River. The canyon section of the MFFR below Nelson Creek is a better Middle Fork of the America River; more access, less crowds, same kind of canyon, and lots of fish. 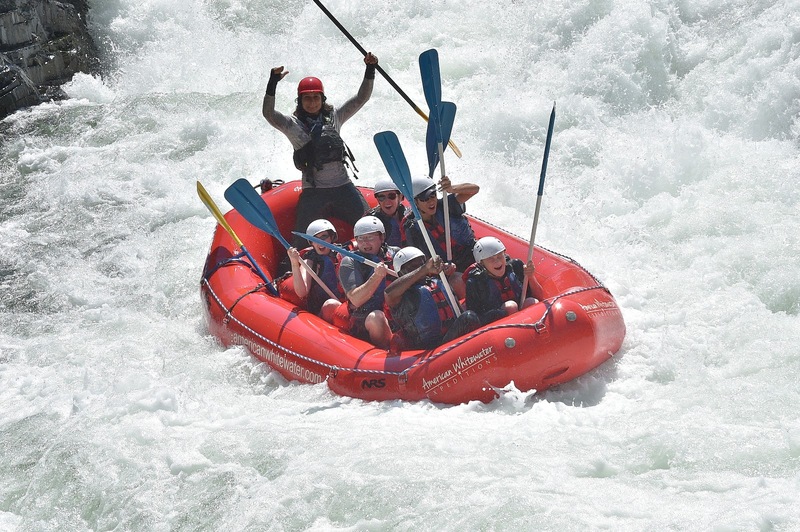 Once, I went for rafting adventures along with my colleagues, and we enjoyed the day thoroughly. It feels great to sail with water currents, and be amidst the natural surroundings.